Irrigated crop fields show up as red boxes on this satellite image of the Sonoran Desert. 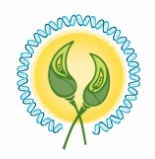 Image Credit: Northern Arizona University. Researchers at the University of Maryland and the USDA uncovered several links in the chain of factors contributing to massive honeybee losses seen around the country. Have you ever wondered how some plants are able to endure the most extreme conditions from the hot springs of Yellowstone National Park to the high altitudes of Mt. Everest? It turns out that many of these plants likely owe their survival to symbiotic fungi that make themselves at home within the plants tissues. Microbiologist Russell (Rusty) Rodriguez and geneticist Regina Redman of Adaptive Symbiotic Technologies in Seattle, Washington are trying to foster similar relationships between fungus and plants in agriculture in hopes of improving drought and salinity tolerance, promoting temperature resistance, and boosting nutrient content. Basil and Lettuce, neighbors in different vertical growing systems at Green Spirit Farms. Photo credit: Green Spirit Farms. 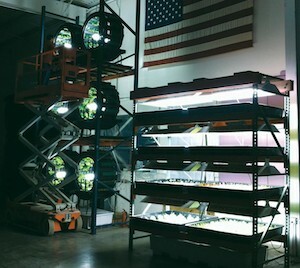 According to Green Spirit Farms‘ Research and Development Manager Daniel Kluko, the future of farming is heading in one clear direction: vertical. “If we want to feed hungry people this is how we need to farm,” said Kluko. 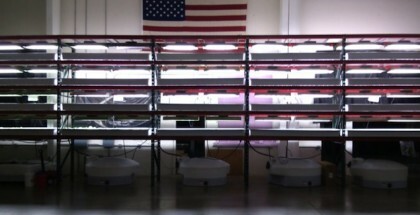 Kluko believes that vertical farming offers a very important benefit in today’s world of scarce land and resources— the potential for unparalleled plant density. After all, how else can a farmer grow 27 heads of lettuce in one square foot of growing space? Industrialized agriculture pollutes water, land, and soil; harms natural wildlife habitats; threatens natural resources, all while still leaving a billion people hungry around the world, charged a new policy brief by the Union of Concerned Scientists, a non-profit science advocacy organization with headquarters in Cambridge, Massachusetts. 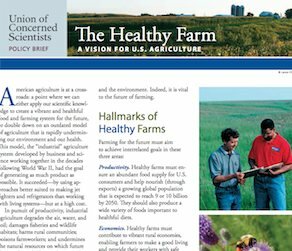 “American agriculture is at a crossroads: a point where we can either apply our scientific knowledge to create a vibrant and healthful food and farming system for the future, or double down on an outdated model of agriculture that is rapidly undermining our environment and our health,” the brief began.